There is perhaps nothing more frustrating as a homeowner than trying to keep your house clean, only to accidentally make things worse. This is often due to a misunderstanding around suitable cleaning products for different types of surfaces. 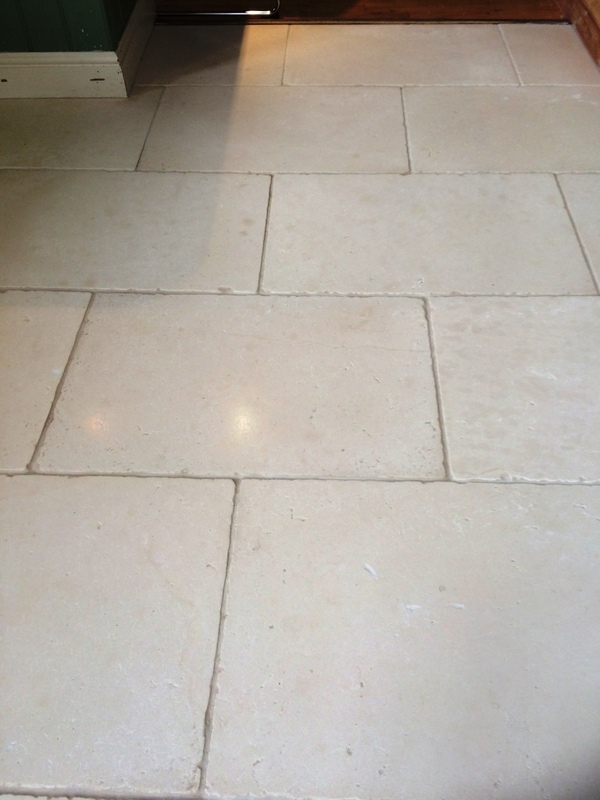 In the case of natural stone tiles using the right products is imperative and you really should read the label, as the wrong product can actively damage the floor. A customer of mine, who lives in Todmorden, a market town in Pennines, found this out the hard way. 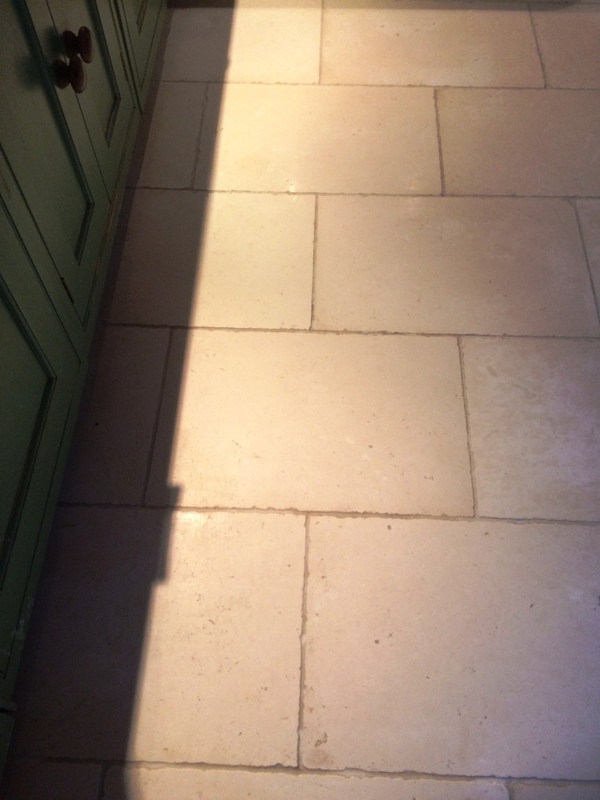 Just six months earlier, the customer had installed a new Limestone tiled floor in the Kitchen but was becoming increasingly unhappy with it as they found it difficult to keep it clean. Nothing they could do seemed to help. To make matters worse, they had not been given any information on the correct maintenance of the floor by the original flooring company. As a result, they had tried to use several unsafe cleaning products including bleach and CIF. These acidic products had stripped away the sealer that was protecting the stone, and caused etching marks on the stone. This made cleaning the stone with normal methods nearly impossible. The only method that could possibly save the tiles is one used by Tile Doctor, which is known as burnishing. When the customer contacted me, I suggested that this would be the best course of action. Given that the customer was on the verge of giving up, they were happy to book in the work. 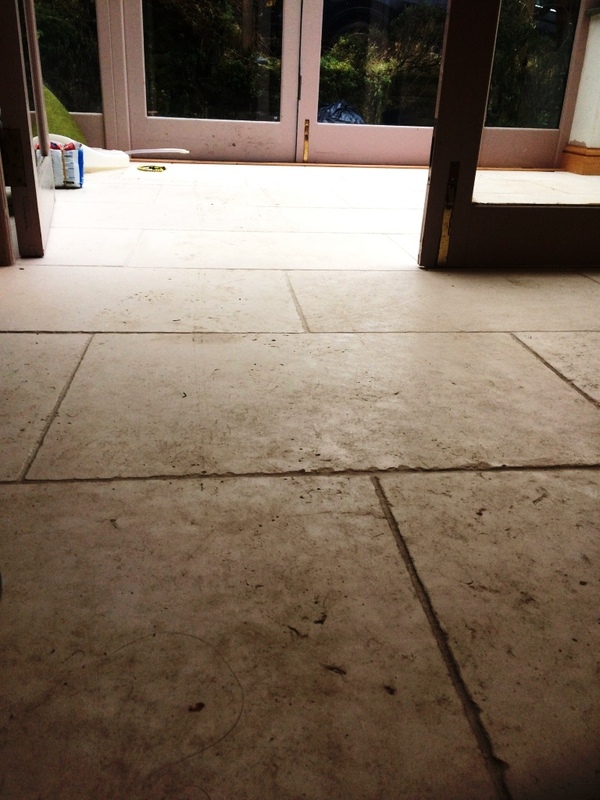 To restore the Limestone tiles back to their original condition, I used the Tile Doctor four-pad burnishing system. In this system, we use four diamond encrusted burnishing pads of varying grits to grind away the damaged layer of stone, before slowing honing the surface and restoring the polished finish. Depending on the size of the pads and the size of the affect area, they are either fitted to a handheld machine or to a larger rotary machine and applied directly to the surface with a small amount of water as lubrication. I started with the first of the four pads, which is a Coarse 400 grit pad and is designed to strip off any old sealers and to grind away the marks caused by the etching. I then proceeded to work my way in sequence through the next three pads, moving from Medium 800 grit, on to Fine 1500 grit and finally to Very Fine 3000 grit. I paused to rinse the floor with fresh water between each pad to remove any resulting soil and mess. The combination of diamond encrusted burnishing pads was highly effective in grinding out any scratches and achieved a high-quality polished finish to ensure the floor looked perfect. 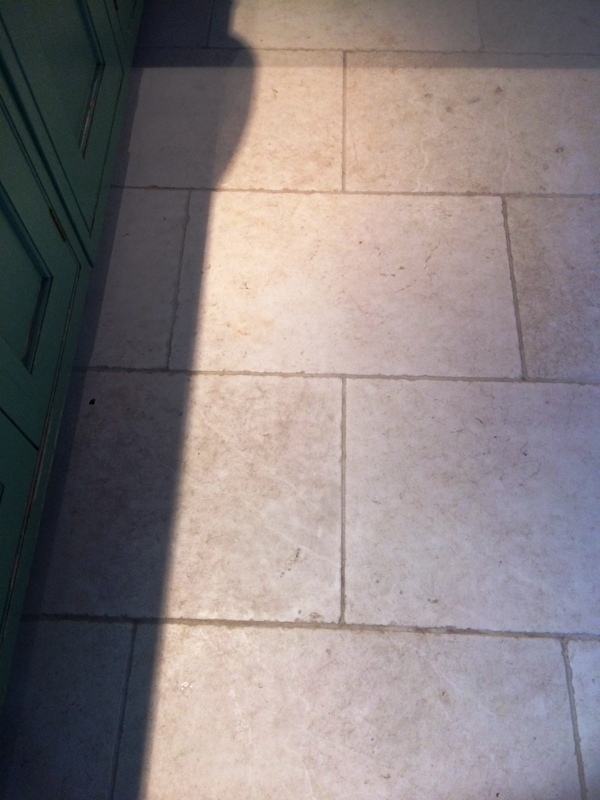 Once it had been left to dry, I sealed the Limestone tile was sealed with Tile Doctor Ultra-Seal, which is a premium solvent-based penetrating sealer which is formulated to provide maximum stain protection and to leave a no-sheen, natural look finish. The customer very happy indeed with the result after believing nothing could be done to remedy the situation. I ensured they received the right advice on how to keep it clean until it would need routine maintenance from a professional tile cleaning company.